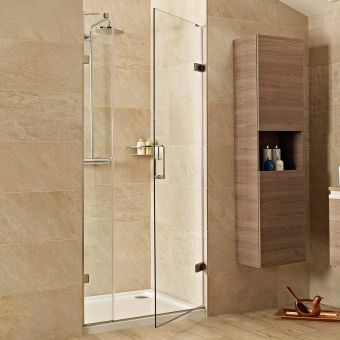 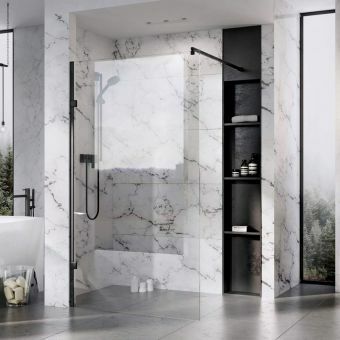 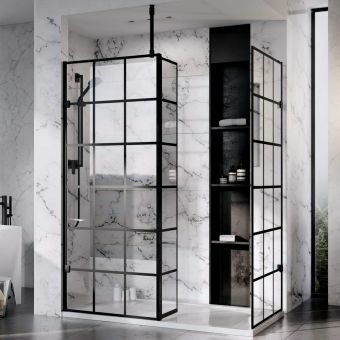 Created with contemporary elegance and a pinch of stylish opulence, the Roman Liberty Hinged Shower Door and Side Panel for a Corner Installation is made from the finest materials in the UK. 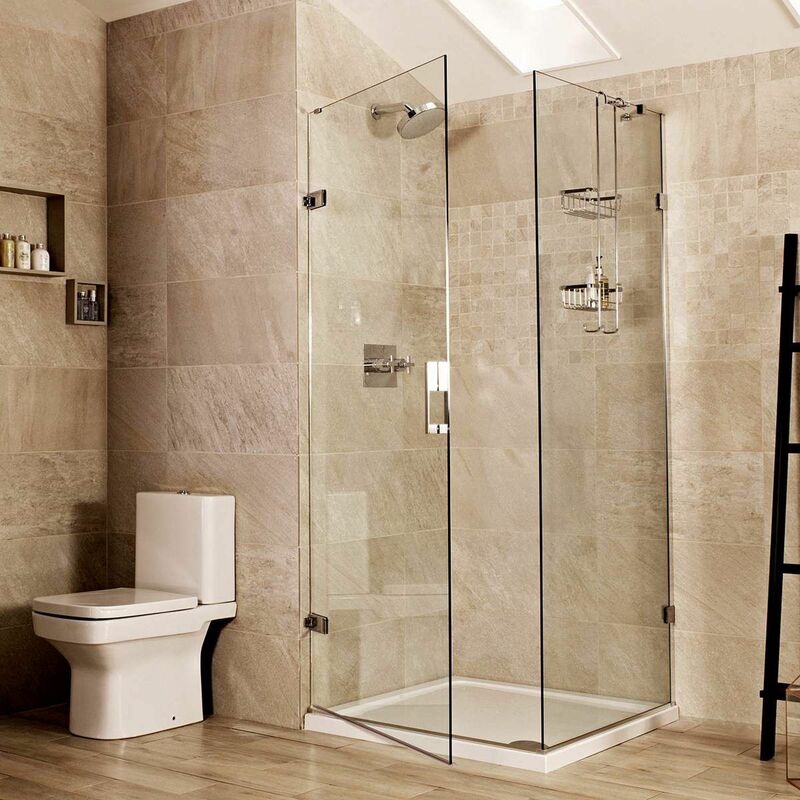 With a choice of four widths for the main door and the side panel, a variety of square and rectangular enclosures can readily be specified to suit your personal requirements. 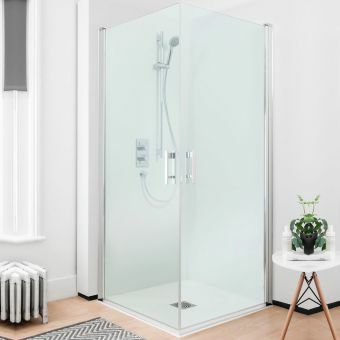 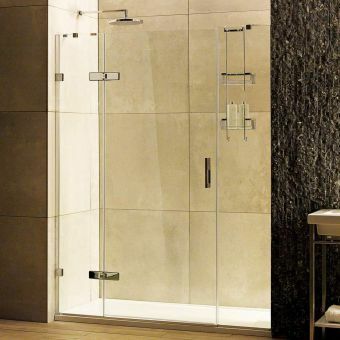 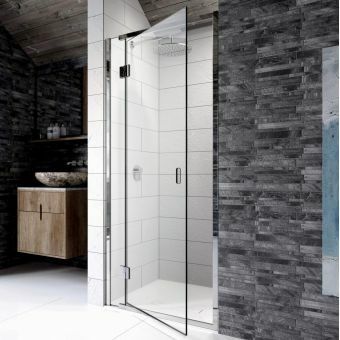 Crafted from the finest toughened glass in 8 or 10mm thicknesses, it is an engineering marvel once installed with the heavy duty hinges being attached directly to the wall rather than a profile. 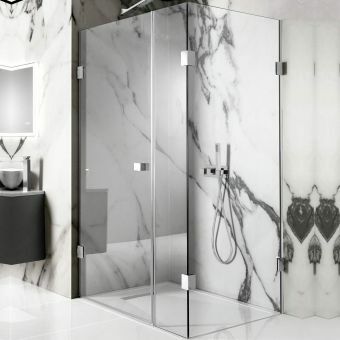 Finished ion a standard polished chrome, two further finishes of brushed nickel or matt black can be specified to match or contrast with your existing decor. 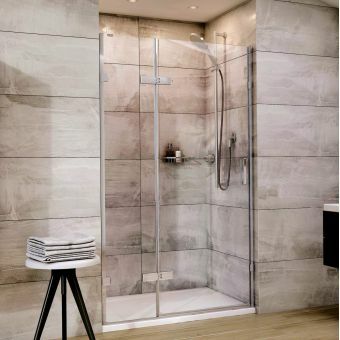 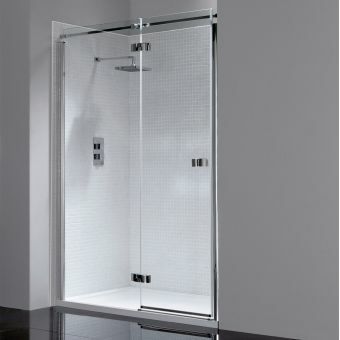 This enclosure is best suited to perfectly vertical walls due to the limited adjustment available and to help create a perfectly rigid install, a corner bracing bar is supplied for the side panel, trust Roman to go the extra mile so you get the shower of your dreams.